Thanks for reading TamrahJo. 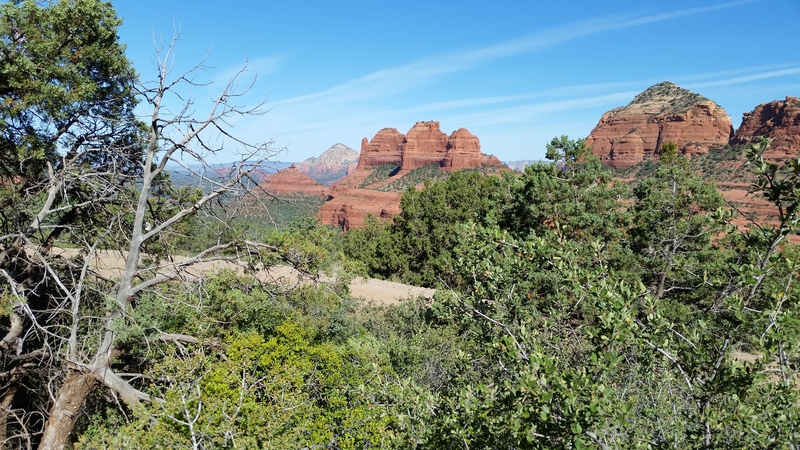 No shortage of beauty in the Sedona area. As for vortexes and energy fields, I don’t know, but I always keep an open mind. Even your stories about your trip sound like your poems. Well, I guess then maybe I am consistent, if nothing else 🙂 Thank you so much for stopping by and reading. My kid (born and raised in Albuquerque) was visiting last summer from her home in Oregon. She found a 3 foot dead rattle snake on the road while heading for a hike. My 23 year old environmentalist took that smelly snake back to the house and skinned it. Back in Portland she mounted it on a piece of wood. You could have carried it on. Just saying. Yeah, I guess I could have brought home with me. Actually, I have no time for snakes at all, and especially rattlesnakes. We had a lot of them when I was a kid growing up in the Midwest. I admire your 23 year old environmentalist for having the moxy to skin one out — wouldn’t be me!